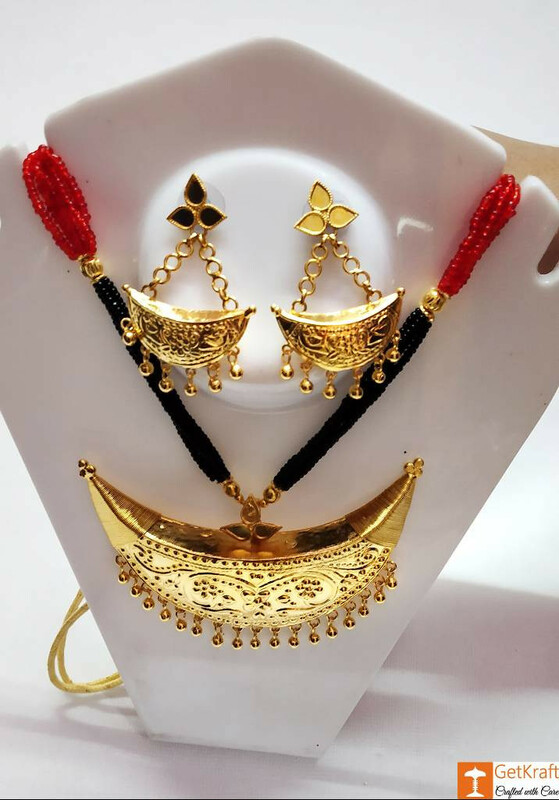 Assamese Traditional Jewellery Sets(Axomia Gohona) Best-Selling Eye-Catching designs, Handicrafts that are Elegantly crafted by skilled artisans. These Gold Jewellery Collections, are ideal Fashion Accessories to give your look an edge. Assamese Traditional Jewellery or Axomia Gohona is entirely Handmade and only experienced craftsmen can make them. This Beautiful Gold jewellery type is mostly influenced by nature (e.g. birds, grains, animals) and others by musical instruments (drums, etc) and other daily used articles in an assamese household (e.g. jaapi, a handmade conical hat). The Major Frame of the Set is Silver made and finally the Outer Layer is covered with a Layer of Gold Polishing. 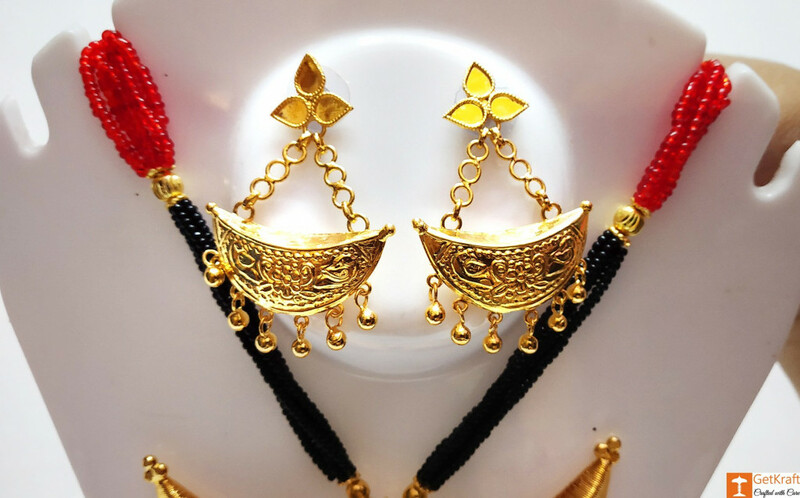 The jewellery is studded with Stones and Meenawork is used. It is very affordable and easy to maintain. They go very well with the local attire Mekhela-Chadar. This Particular Pendant design imitates the Half Moon. 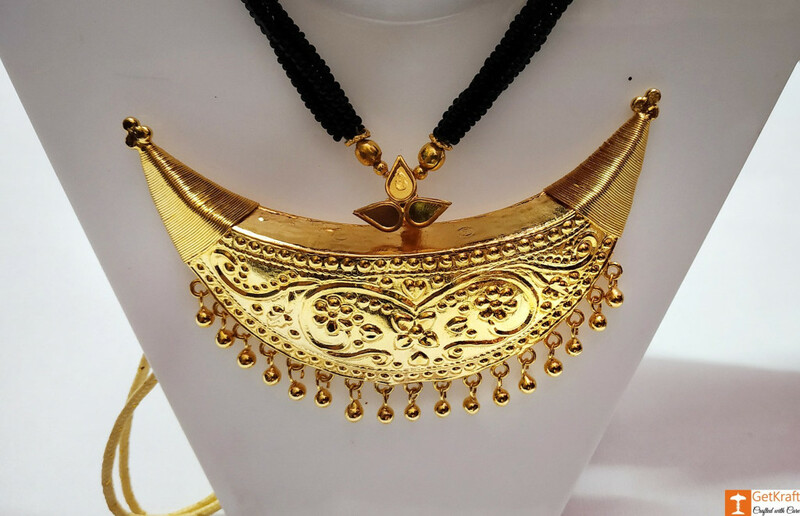 The Perfect Fashion Accessory for Weddings, Festivals, Cultural Events, Parties where Women Dress up to look their Best.